On the 19th of June, the Catalan Water Partnership (CWP) celebrated the annual General Assembly event at the Faculty of Economics and Business of the University of Barcelona (Barcelona). During the event, the most relevant projects conducted or started within the last year were presented to the associated members. 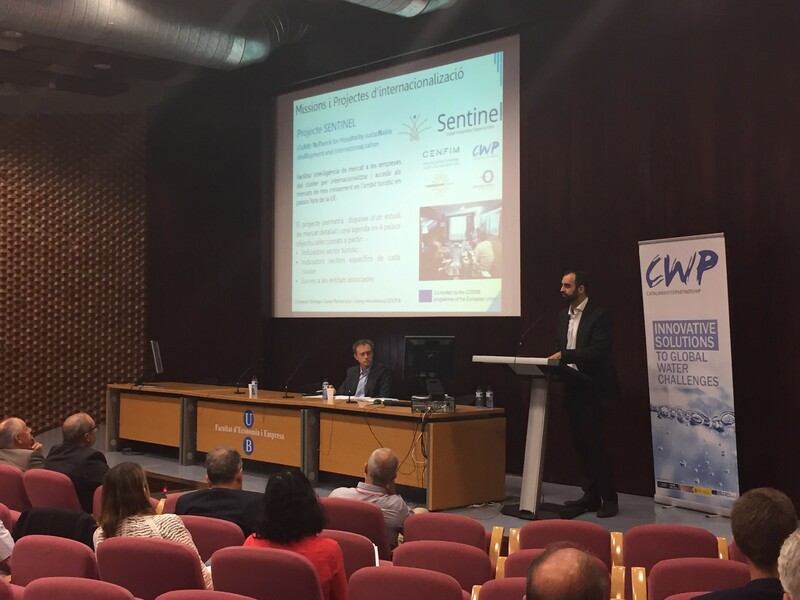 In this sense, SENTINEL project, started on January 2018, was presented in order to communicate the main objectives, as well as, the activities conducted and the expected results. Mr. Xavier Amores, Cluster manager of the CWP, presented the project development and answered the questions regarding it. Many companies interested in the project and in being part of the European value-chain for global hospitality participated at the Sentinel Survey conducted within the WP2 of the project. In this sense, more than 70 representatives of the Catalan Water Sector participated at the event, as well as, the main authorities from Territory and Sustainability department of the Catalan Government.